Kevin is a Somatic Therapist integrating the healing of the body and mind. He is a Certified Massage Therapist and LIcensed Marriage and Family Therapist. 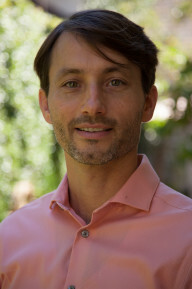 He has an MA in Clinical Somatic Psychology, additional certifications in Structural Integration and Hakomi Techniques for Bodyworkers, and has also taught breath work, yoga, and meditation for the past 15 years. supporting those who want to work with both the body and mind in healing their symptoms. Armed with skillful hands, a precise knowledge of anatomy, and a mindful and sensitive presence, Kevin has an innate ability to sense what the nervous system needs to rejuvenate. As a Massage and Structural Integration Therapist, Kevin employs many massage modalities, including: medical massage, Swedish, deep tissue, structural integration/myofascial release, lymphatic drainage, Shiatsu, Thai yoga, Reiki, and a range of sensory re-patterning techniques. As a meditation, yoga, and breathwork practitioner and instructor, Kevin offers instruction in home practices that support reaching your wellness goals. Kevin’s recent focus is on specific mindfulness practices to combat the physiological signs of stress. This work effectively improves the symptoms associated with anxiety, sleep issues, depression, hypertension, rheumatoid arthritis, and other stress related issues. He integrates massage with the medical, nutritional, psychotherapeutic and acupunctural expertise of clinicians available to him at the Akasha Center.